Solar cells make it possible to make use of the sun as a virtually inexhaustible source of energy to produce electrical energy. The huge amounts of energy required and the large quantities of pollutants emitted in the production of solar cells out of crystalline silicon using today’s state-of-the-art technology considerably reduce the total energy and environmental balance of photovoltaics. Reducing quartz sand (SiO2) into raw silicon by using carbon in a blast furnace generate 2 tons of toxic CO (carbon monoxide) and 1.57 tons of the greenhouse gas CO2 (carbon dioxide) per ton of silicon. The subsequent trichlorosilane process for cleaning the highly contaminated raw silicon also emits great quantities of toxic and environmentally harmful chlorine compounds. These drawbacks motivated Dr. Laure Plasmatechnologie GmbH to develop an innovative new technology for producing high-grade silicon coatings for the photovoltaic industry. This is accomplished by reducing quartz sand (SiO2) in hydrogen plasma into pure silicon and directly depositing it as a coating on a suitable base. In ideal cases, the only “waste” it produces is water vapour. SiO2 + 2 H2 → Si + 2 H2OInstead of continuing to contaminate the silicon being produced with carbon (much like smelting with coal), reduction in hydrogen plasma considerably reduces the content of disruptive foreign substances. 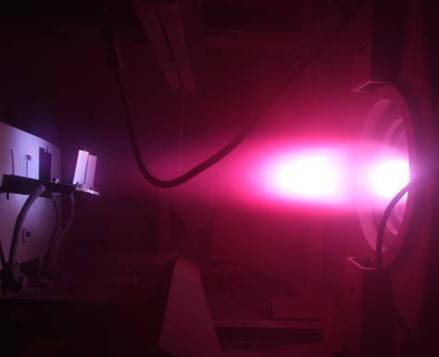 This means it is no longer necessary to use the labour-intensive trichlorosilane process to purify silicon produced in plasma. The innovative new plasma method also means that much less energy is needed to produce pure silicon than with conventional procedures. 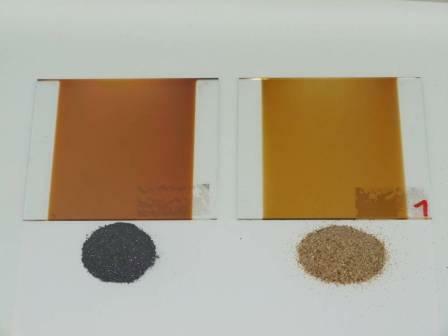 A project sponsored by the German Federal Environmental Foundation (Deutsche Bundesstiftung Umwelt – DBU) has already proven that it is feasible to reduce sand into silicon in hydrogen plasma and has demonstrated the purifying effect of the plasma process. You can find further information on this project on the DBU’s website.